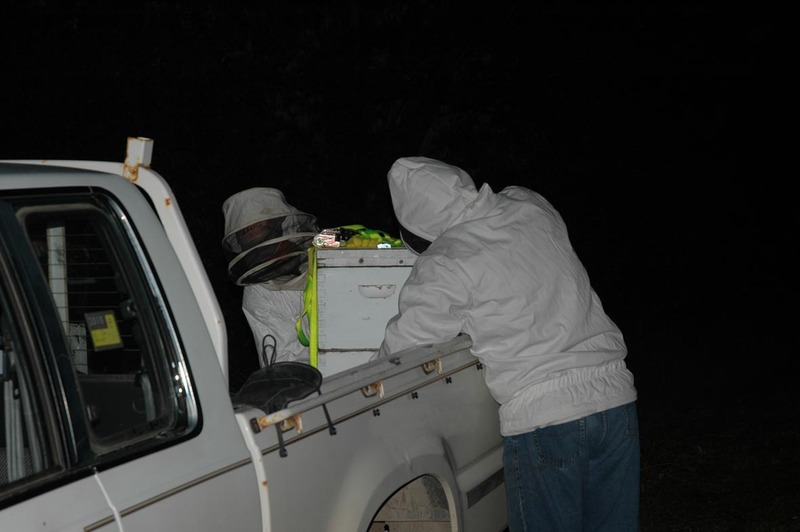 After a false start where the hive boxes separated and my hive donor got lots of stings… my hive is on its way to Sydney from the North Coast. It’s now 8pm. It’s dark and the truck arrives with my box of 40,000 or so miniature livestock. I pull on my protective gear with a bit of apprehension. Will they have survived the three-hour journey? Will they like their new home? What have I done? 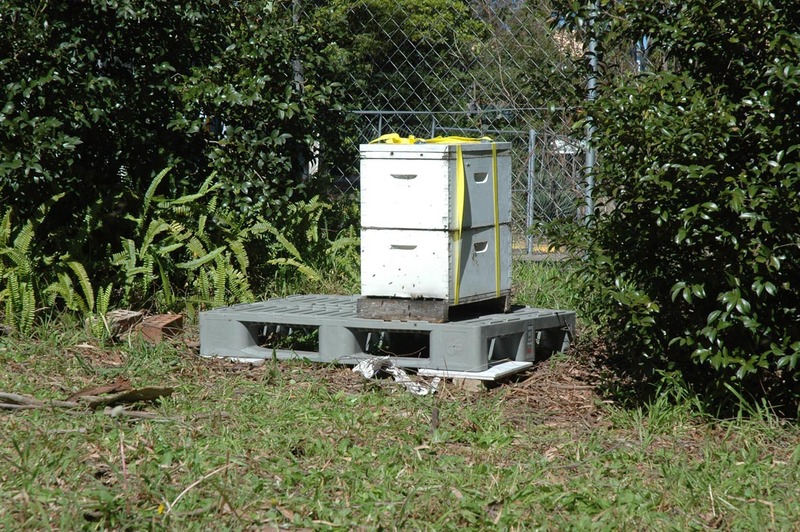 We lift the hive off the truck and place it on the plastic pallet I’m using for the hive stand. They pull the newspaper entrance stopper out and depart… with haste. The next morning I go and have a look. The bees are all systems go, collecting pollen, so it looks like we have been successful!